Complimenting our high end jackets, our Roar Pant is made from the same feature packed fabric and is our top of the range serious trouser to wear in all weather. This pant is just the business and when combined with our Monsoon II or Roar II Jackets and you have the ultimate all-weather protection against anything Mother Nature can throw at you. Sizes: Only Size Small Left! 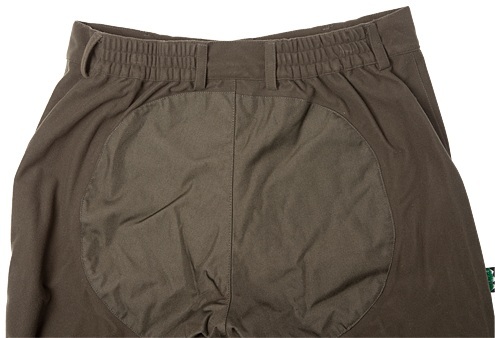 * Seam sealed RL-Tex™ fabric. * Reinforced seat and ankle areas. 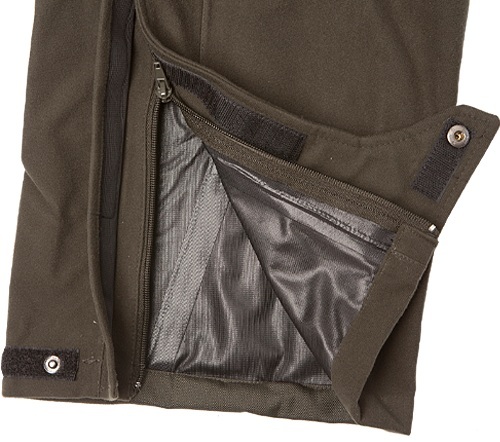 * Two waterproof zip front pockets. * Dome waist and zip fly with belt loops. * One third length side zips for easy on/off over boots. RL-Tex Fabric - The ultimate in Wet Weather technology. Ridgelines top of the line RL-Tex 3-layer is 100% waterproof, durable and offers great breathability, guaranteed. Ridgeline began life as a New Zealand owned and operated specialist outdoor clothisng brand at the hands of Peter Maxwell. In mid-1993 Peter began working on the first Ridgeline designs and the product range was a successfully launched in the March/April 1994 issue of NZ Guns & Hunting magazine. Prior to commencing Ridgeline, Peter had manufactured his own range of tough motorcycle and motocross clothing, which gave him a hands-on insight into what Kiwi outdoors people needed - clothing that was warm, light, comfortable and able to handle a lot of very rough treatment. In the early years the Ridgeline brand achieved a high level of acceptance with New Zealand hunters, but Peter's time was always divided between his manufacturing and magazine editing tasks, which meant that Ridgeline did not always recieve the attention it deserved. So when Cameron Sports Imports Ltd. indicated an interest in acquiring the Ridgeline brand, the deal was done. Since then, with innovation and hard work the brand has grown exponetially - becoming a market leader in the Australasian hunting clothing scene and now branching further afield into the likes of Southern Africa and Western Europe. The Ridgeline philosophy has been consistent from the early beginnings until now - to ensure that comfortable, durable performance outdoor clothing should be affordable. With grass roots in the rugged New Zealand Mountains, Ridgeline has developed a specialist range of fabrics to suit just about any challenge your environment can throw at you. With the characteristic Ridgeline 'Big Four'- Warmth, Comfort, Durability & Functionality, combined with superior designs and its own 'Hide & Seek' Buffalo Camo, Ridgeline is a market leader and the choice of many hunting and outdoor enthusiasts alike.